About the Author | RecruitCONSULT! Jeremy Eskenazi is currently the Managing Principal of Riviera Advisors Inc. a boutique Human Resources consulting firm that he founded in 2001. Riviera Advisors partners with organizations globally to improve and enhance their ability to attract and hire talent. Jeremy draws on more than 25 years of experience and expertise to help companies assess and enhance their talent management systems and processes. Prior to founding Riviera Advisors, Jeremy served as Vice President, Talent Acquisition for Idealab, the world’s premier technology business incubator. Jeremy’s role encompassed building and leading a global team in the development and delivery of recruiting, university relations, and Executive search services to Idealab’s more than 30 network companies. Jeremy came to Idealab after serving as Director of Talent Acquisition for Amazon.com. In this role, Jeremy led all Talent Acquisition and Recruiting activities for this high-growth global organization. Later, Jeremy served in the role of Vice President, Strategic Growth, with worldwide responsibilities for all Human Resources activities. Previously, Jeremy led the global professional Talent Acquisition functions for all of Universal Studios and the Universal Music Group businesses. In his role as Corporate Director, Workforce Planning & Strategic Talent Acquisition for Universal Studios, Inc., Jeremy and his team provided leadership for all of the worldwide professional staffing, workforce planning, internal sourcing, college and community organization relations and recruitment, and Executive recruitment activities within the Universal organization. Jeremy previously held positions at Heublein, Inc., The Knott’s Organization, and several years in Human Resources, recruitment and Talent Acquisition with Hyatt Hotels Corporation. Jeremy holds a Bachelor of Science from California State Polytechnic University (Cal Poly Pomona). 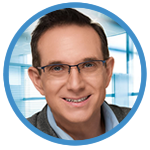 As a professional member of the prestigious National Speakers Association (NSA), Jeremy speaks to many audiences on the value of the Talent Acquisition function. Jeremy is currently Vice President, National Membership for the International Association of Corporate and Professional Recruitment (IACPR). He is also a member of the Institute of Management Consultants-USA (IMC-USA) and the Society for Human Resources Management, where he recently served on the national Talent Acquisition Management Special Expertise Panel and is presently on the Workforce Planning Standards Workgroup. Jeremy holds certification as a Senior Professional in Human Resources (SPHR) from the Human Resources Certification Institute. A native of Southern California, now residing in Long Beach, in addition to his professional affiliations, Jeremy is a member of the Pasadena Tournament of Roses Association. STARoundtable Press offers “RecruitCONSULT! Leadership – The Corporate Talent Acquisition Leader’s Field Book” available for sale and shipping worldwide: To order larger quantities of the book , please visit the Wholesale Purchases Page. Listen to an audio interview about RecruitCONSULT! Leadership with author Jeremy Eskenazi and TotalPictureRadio’s Peter Clayton. Click on the icon below to listen to the entire 25 minute interview.